Qeshm Island is the largest Iranian island in the Persian Gulf region and it's located in the strait of hormoz between the north axes 27" ,10 and 26�and the meridian axes 55",22 and 56",40 in the azure waters of Persian Gulf . Qeshm island occupies an area of about 1500 square kilometers ( 140 kilometers long and 11 kilometers wide on average) and is bigger than 22 countries of the world(the area of Qeshm is 2.5 times than of Singapore and Bahrain).This dolphin shaped island is narrower and shallower in the northern part while the southern part is relatively wider and deeper. 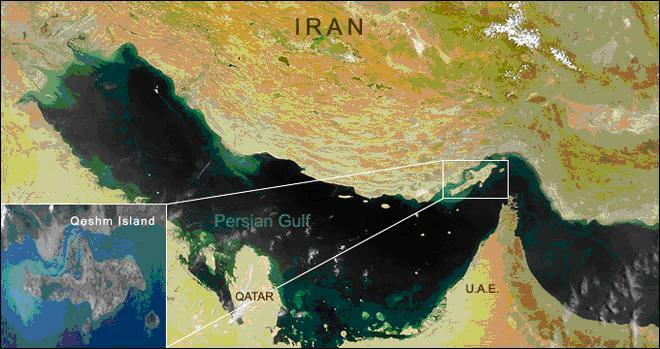 It enjoys an exceptional location between the Persian Gulf and the Indian ocean such that vessels bound for all riverian states (Iran , Iraq , Kuwait , Saudi Arabia , Bahrain , Qatar ,United Arab Emirates and Oman) . 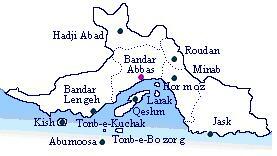 By all definitions , Qeshm is the gateway to the Persian Gulf . ACHAEMENID era some 500 years BC .more recently travelers such as MARCO POLO in the 13th century have also mentioned Qeshm in their writing . Qeshm has a long history and many times has been invaded by different countries such as Mongolians , Portuguese , Dutch ,Omani and English and all have contributed some of their traditions and histories to the island. 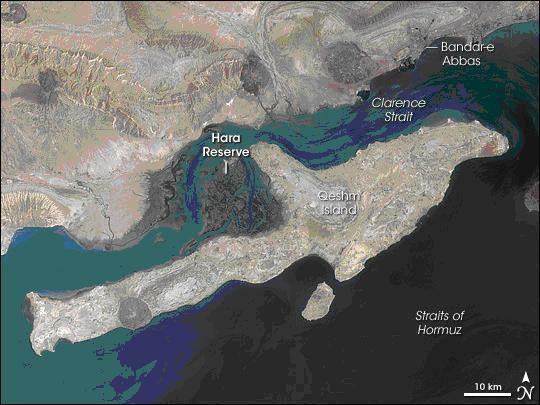 Due to its location among warm waters of Persian Gulf ,the climate in Qeshm is warm and average temperature is 26 degrees centigrade with the warmest months being from June to August and the coldest from October to January .the island is affected by Siberian , Mediterranean , Atlantic , as well as Indian ocean currents and other currents coming from Saudi Arabia and Sahara . Therefore it has a long warm and humid season and a short temperate one. In the southern coast of Iran Qeshm island with its natural attractions , live corals(coral island),sandy beaches , Hara sea forest(mangroves), Tala wells , Banyan tree and many other interesting sites has created unique complex for tourism and Eco-tourism which is incomparable in Persian Gulf.